Philippine Airlines Promo 2019 - 2020: Promo Fares from Cebu, Davao and Manila! 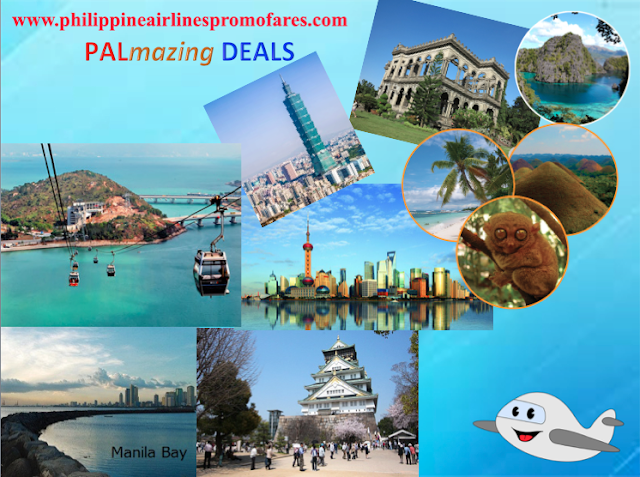 PAL Promo Fares: Fellow plane passengers and jet setters, eyes here! It's about time for a BER-y Merry X-mas courtesy of no other than the flag carrier, Philippine Airlines as it introduces their PALmazing Deals the the BER months special. Promo deals are both available for domestic and international flights. So which destinations are currently on promo? There is only one way to find out. Let's scroll down below. Travel period is from October 16 to December 31, 2017. Book now until October 22, 2017. Fly the way you deserve with PAL’s full service flights at surprisingly affordable fares. For domestic trip, there are three base stations where you can avail of these amazing PAL deals. Fly the way you deserve with free check-in-baggage, on top of your carry-on, more space to relax, free food, and heartfelt service. Now let us check the international promo fares. There you go guys, hope you enjoy to book your plane tickets with these PALmazing deals. Booking period is actually extended until October 22, 2017.